1. Students and printmakers who want to hone their skills and learn new techniques, both for creating plates and for printing them. These people usually choose one of Maureen’s two-week courses, where they share both work and recreational experiences with two or three other course participants. There’s a lot to see and do in Granada. 2. 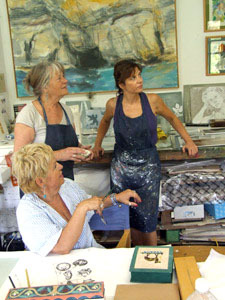 Professional and serious amateur artists from all disciplines–including printmakers–who want to collaborate on a one-on-one basis with Maureen, either to transfer their vision onto inked plates or to work on special projects such as printing plates creatively, preparing exhibits or creating artist’s books. Solar plate permits artists to incorporate their existing work–sketches, drawings and even watercolors–into their work. For artists who want to include text or calligraphy in their prints, solar plate permits them to do it normally. As the image is not reversed, they are not obliged to write backwards. Computer techniques can be incorporated by printing designs on laser acetates. The artists get up to speed is much quicker. Course participants can usually see their first prints on the second day. If you would like more information on individual collaborative work with Maureen, just drop her an email. Hi Trish, thanks for your enquiry. 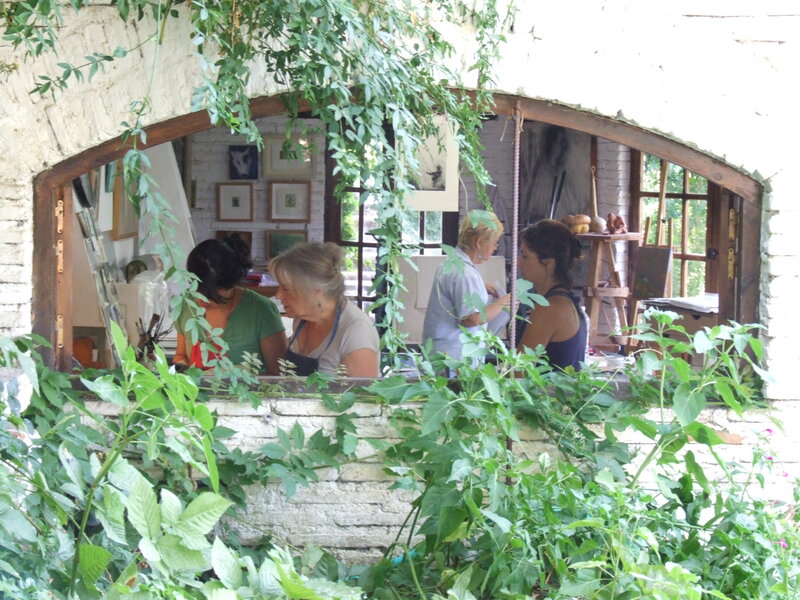 The studio is free round the last week in October and the first of November. So essentially whenever you like. When you get your flight reserved, let me know and I’ll confirm your booking. Do you have a website where I can see some of your work?